Ten years after New Order put out their last studio album, the Manchester band has announced in a press release the title of their new album, Music Complete, which is scheduled to come out on September 25 via their new record company Mute. It’s the group first album without founding bassist Peter Hook and it marks the return of keyboardist Gillian Gilbert since Get Ready from 2001. Music Complete is produced by the band, with additional production by the Chemical Brothers’ Tom Rowlands and Stuart Price. 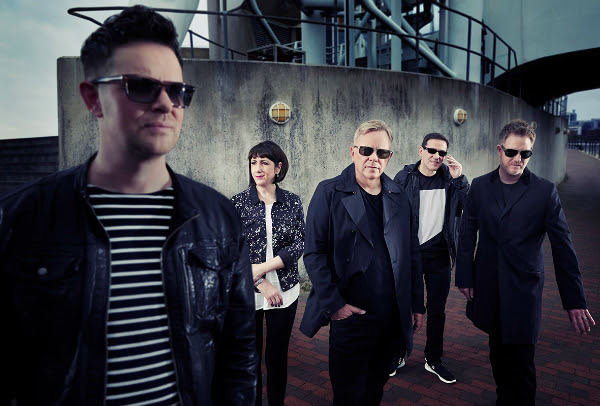 The current lineup of New Order is Bernard Sumner, Stephen Morris, Gillian Gilbert, Phil Cunningham, and Tom Chapman. The band offered a preview of the music from the upcoming record (see YouTube video) below.